Occupants of Moradabad, 2018 brings you uplifting news. There might be a chance that you have been searching for a home in Moradabad. The good news is that you don’t need to look any further. There are a few houses available to be purchased in Moradabad and these pads are in no way like what you have seen previously. 200 handmade homes with private decks and the choicest of styles are available to you. Try not to be astonished in the event that we disclose to you that you never again need to leave Moradabad to get to world-class highlights, for example, a worldwide standard clubhouse with a swimming pool, an abundant measure of greenery for a crisp living and 24×7 power reinforcement. Devoted parking spots and seismic tremor safe systems for the houses implies that you get the nuts and bolts of urban living without mulling over it. These are only a couple of highlights among the host of world-class includes in Moradabad. Take your pick from 2 BHK, 3 BHK or 4 BHK Flats – everything fits inside your financial plan. Extravagance is here without consuming a gap in your pocket. 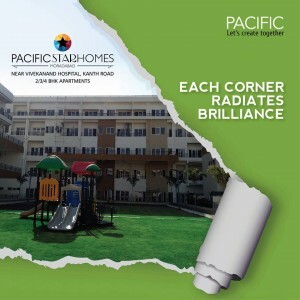 In the event that you are pondering which builder is giving such a great amount at such a less cost the appropriate response is the India-popular Pacific gathering which has officially cut a name for itself by building moderate yet extravagant homes in Uttarakhand – Pacific Golf Estate and Pacific Hills home. The Pacific group imagines an India where extravagant living arrangements are not there just in metro towns and the top-tier towns but the fantasy of rich living is accessible to moderate to Indians in littler urban communities and towns crosswise over India. So, it is time to let go of any pre-conceived notions about property in Moradabad and book your own house.